There are a few days during this giveaway that I am jealous of all of you who can enter. 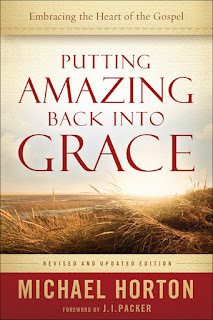 Today is one of those days as we are giving away Putting Amazing Back Into Grace by Michael Horton. This prize is provided by Baker Books,our generous sponsor for most of this week! 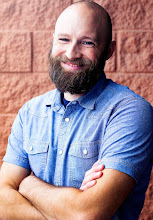 Publisher's Description: What does it mean to be "saved by grace"? Now revised and updated, this classic reminds readers of the Reformation's radical view of God and his saving grace, the liberating yet humbling truth that we contribute nothing to our salvation. It lays out the scriptural basis for this doctrine and its implications for a vibrant evangelical faith. 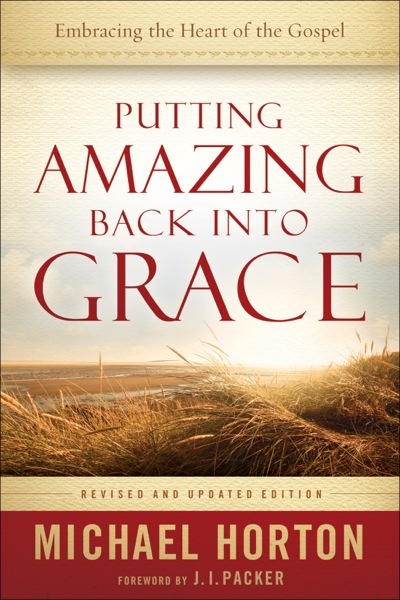 Horton's accessible treatment will inspire readers with a fresh amazement at God's grace. The brand-new companion DVD makes this book even more useful for small groups and Sunday school classes. For a complete list of prizes and rules, click here. You can enter using the PunchTab app below. RSS readers will need to click through to the post to see the widget. Good luck! My view on the purpose of God's incarnation in Christ has shifted quite a bit in recent years. In evangelical circles you hear a lot of gospel proclamation that is aimed at getting people out of hell. Don't get me wrong, missing hell will be a wonderful thing, but I think that Jesus' coming to give abundant life is more in line with the emphasis of the NT. Reconciliation of God and man has become my focus as it pertains to salvation. He came to seek and to save that which was lost! He was born to die. That is love. Most memorable? That's a really strange but good question. It's hard to just pick one. I love the fact that Jesus came to explain/reveal the Father. I think Jesus' role as Good Shepherd coming to gather his sheep from all parts of the earth is one of the best pictures of his coming. Sheep without a shepherd are dumb and easy to be killed, but with a shepherd, they are far more likely to survive. It's difficult to choose just one. Seems to me that it's pretty well encapsulated in Isaiah 61:1-2/Luke 4:18-19. I don't want to narrow it down any further because it's all memorable to me. Jesus has done everything mentioned in those verses for me! He's brought the Kingdom of God into my life, and I am forever grateful.